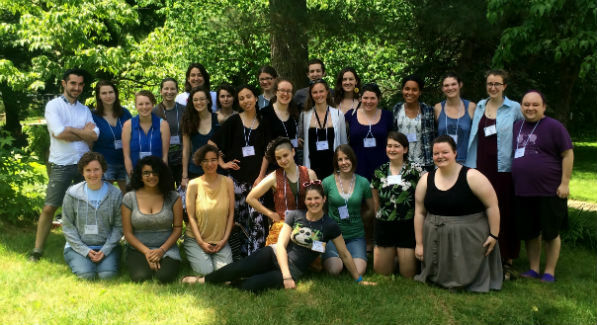 In the 5th year of the Continuing Revolution conference series, 47 young adults with elders and accomplices gathered together, engaging deeply with the theme of Integrity as a Radical Act, approaching it from the intersection of spirituality and activism. Though the dust has barely settled, plans are already in the works for the Continuing Revolution 2017 conference focused on the theme of Peace. If you have ideas for ways to approach this theme, potential speakers or tangible ways to engage with it, please contact kmcquail@pendlehill.org or agreulich@pendlehill.org. Young adults – mark your calendars for June 2-7th, 2017!